The numbering system established for Buena Vista County allows for up to 100 addresses in a mile. 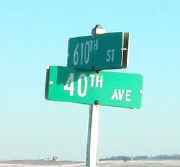 Examples: 5650 20th Ave would be 1/2 mile North of 570th St on 20th Ave on the East Side of the road. 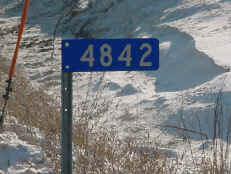 225 600th St would be 1/4 mile East of 20th Ave on 600th St on the North Side of the road.